To be a true luxury car in an age when family sedans boast amenities that until recently were premium-class exclusives requires a special automotive alchemy. A genuine luxury-brand origin is essential. So are performance, comfort, and features that elevate it above basic transportation. Roominess is an underappreciated luxury marker, too, which is why the 11 Best Luxury Cars of 2016 are dominated by full-size sedans and seasoned by a couple of midsize models of special merit. We present them least expensive to most, with base prices that include manufacturer destination charges, which average around $950. 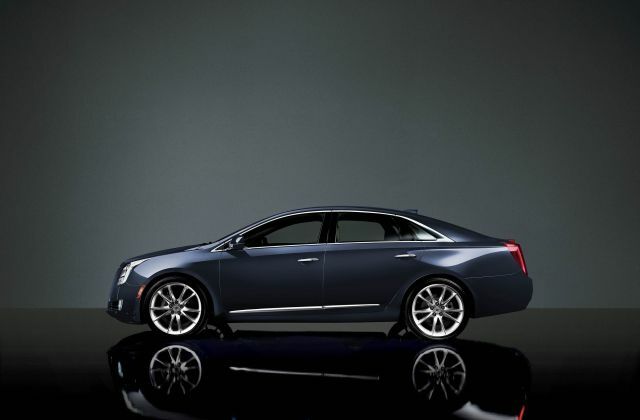 The full-size Cadillac XTS is a throwback to the 1980s, when most domestic-brand cars were converted to front-wheel-drive configurations and downsized and lightened to meet newly established fuel economy standards. (Yes, Caddies from the 1970s were actually larger than this garage filling four-door.) XTS doesn’t ride or handle with the sporty sophistication of its European rivals, all of which are rear-drive, with optional all-wheel drive. But it’s nonetheless well mannered and isolates its occupants from bad pavement. Credit the standard Magnetic Ride Control suspension system that reacts and adjusts in real time according to road conditions and driving situations. All-wheel-drive is optional, providing added foul-weather traction and absorbing the front-drive model’s nominal torque steer (what happens when a powerful front-drive car pulls to the side during rapid acceleration). The standard 3.6-liter V-6 delivers a sufficient 304 horsepower. The top Vsport model has a twin-turbocharged 410-horsepower version of that engine and standard AWD. The sole transmission is a six-speed automatic (in a class where 7- and 8-speed automatics are the norm). The interior is sufficiently plush, tainted only by the difficult-to-operate CUE (Cadillac User Interface) multimedia system. The system gains added connectivity with Apple’s iPhone for 2016. Myriad high-tech safety and luxury features are offered, including a new-for-‘16 “Surround Vision” display that provides a 360-degree video view of the vehicle’s exterior for easier and safer parking.